It's fairly obvious but these are not the delicate French macarons but the teeth achingly sweet Scottish macaroon bar. As you will see I follow the simple and traditional recipe of using potato as a base. I mean really…how does someone come up with the idea of mixing potato and sugar together as a tasty treat?! Then again, this is the nation which created the deep fried mars bar. Be warned, the recipe is vague, and for good reason. The quantity of most of the ingredients depend entirely on the size of potato used. Use a small potato. Really. I'm talking one the size of a new potato. Boil up your tattie until soft and then mash it until smooth. When still hot start mixing in the sieved icing sugar. Keep adding until it forms a very thick icing almost the consistency of a dough and it should hold its shape when sat on the counter top. Take this mix and shape it into a long oblong (or two if you failed to heed the warning to use a small potato). Sit it on some greaseproof paper and allow it to dry out. It will need turned a couple of times to evenly dry the surface. Once dried slice them and then allow the slices to dry out. 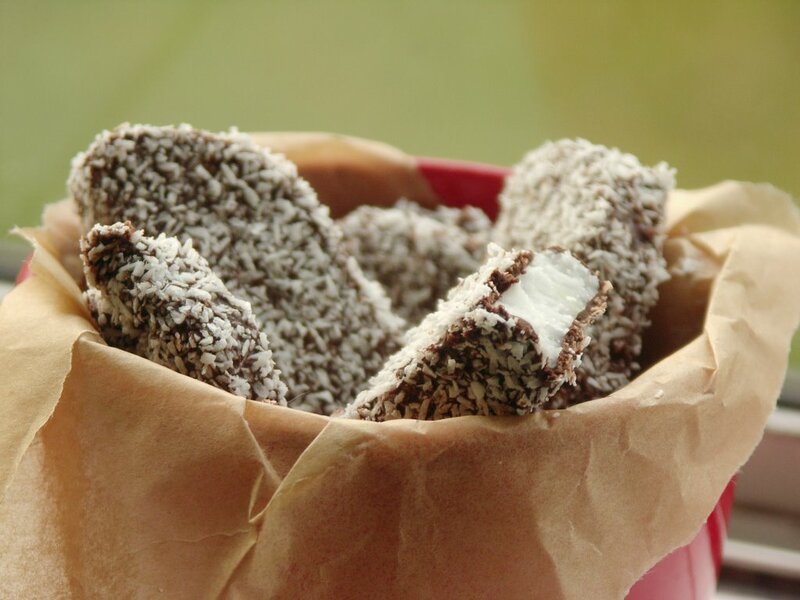 Once hard melt chocolate and dip the slices in it and then in desiccated coconut (either toasted or as it is). Allow chocolate to harden. Marvel at how much your teeth ache. I’ve been thinking about making these since you posted about them on Gorgeous Vegan but at the same time I feel sick at the thought of them as I have no self control and would eat too much. How long do they take to dry out? Hmm, can you tell I don’t want to write this essay? If you’re not careful you can end up with loads.